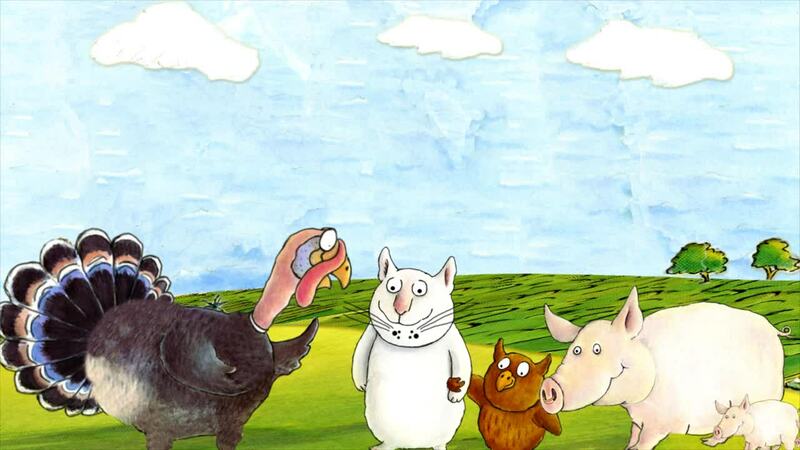 Owen the owl, Kathy the cat, Teddy the turkey and Pixy the pig and his family lived in an island and were bored of the usual everyday life. “The Golden Turkey, who lives the island of the bong tree, has the secret to happiness!” said Teddy. Owen and Kathy will sail days and night to find the golden turkey.